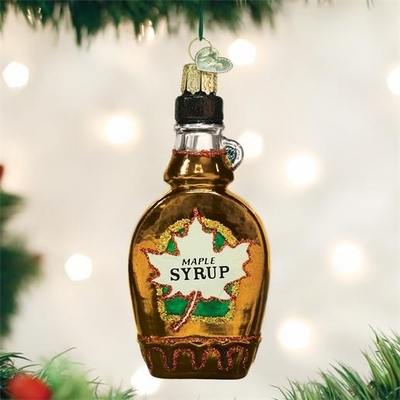 Home > Old World Christmas - Traditional Glass Christmas Ornaments > Old World Christmas Glass Ornament - "Maple Syrup"
Maple syrup is poured over pancakes, waffles and oatmeal to make a delicious breakfast meal. Maple syrup is made in the late winter and early spring days when maple trees are tapped for their sweet sap. The sap is cooked down to create a liquid sugar that is sweet and tasty.